Today we celebrate World Indigeneous people’s day but in the backyard of the biggest democracy of the world is the systematic isolation and displacement of millions of adivasis in the name of development. A veteran activist is fighting for the rights of the aadivasis on the Narmada valley but the government is determined to ‘develop’ the state even when it ensure dislocation of thousands of adivasis in India. Can we expect anything from those in power who have already decided what is ‘good’ for adivasis by dislocating them without any honorable rehabilitation? The state does not even allow activist to peacefully protest against a project which has never been shared with those who are going to be affected. The brutal and condemnable police action against the Narmada activists led by Ms Medha Patkar, in Dhar, Madhya Pradesh reflect the methodology of the Indian state which does not believe in dialogue on the issue of ‘development’. Those who challenge it peacefully are antinational while others who have picked up the guns have only given state legitimacy to brutally suppress the adivasi revolt in the name of Naxalism. Frankly speaking, fasting methods will not move Indian elites unless it is either done by the prime minister or some Swamies and Babas. Anna Hazare’s fast was to discredit the Manmohan Singh government and the nation is paying a price for it. Not that we loved Dr Singh but definitely he was much more sober and better than his alternative’. Medha Patkar has courageously led the movement of the Narmada people for two decades or more but at the same point of time there is a need to introspect the strategies adopted by the movement. It needs to push the adivasi resistance like Jharkhand where they have courageously fought the state apparatus and its attempt to amend the CNTA and SPTA. While no fix module could be developed as things depend on local conditions and many other things but definitely Gandhian methods have kept people apolitical and have only strengthened the opponents. I have never supported Gandhian methods of fasting because the state apparatus knows better when should the ‘fast” be given a national status and when not. Gandhi’s fast could not provide justice to people, neither did it create leadership from those communities for whom it was done. Gandhian fast are largely meant to strengthen the leaders and not the people most of the time. The focus of a movement should be to politicise the battle and develop young leadership from those sections of society which we lead. That is my criticism of most of the movement as they are built around one person who is a ‘Nayak’ or messiah. All of sudden we take the person to high mountains, make him or her responsible to the fate of people and after some time the mistakes of these ‘great’ people then cost the entire society too much. It is not merely in political circles, the disease of hero worshipping has ruined democratic processes everywhere right from political parties to social movements to trade unions or the individual family lives where ‘hero’ cant to anything wrong and can’t be critiqued. India must get out of hero worshiping. It is not merely with Modi or Gandhis but it exist at every level. We need to focus on developing combined leadership keeping future of the movement in mind. A movement must change our perception too. It has to adopt diverse methods too that develop democratic spirit and democratize our mindset and social behavior patterns. Our solidarity with the cause of Narmada and the heroic struggle that Medha ji has lead so far but it is also time to think beyond. It would be great if some Adivasi leadership is evolved and allowed to lead the movement and decide their future too. I am not saying this without any reason as we find more and more Sangh Parivar element now active in the adivasi regions as more Babas, more Eklavya Vidyalayas and more Hanuman Mandirs in these regions. Like Shiv-charcha in Uttar Pradesh they depoliticised many among the Dalits and OBC communities. It is going the dangerous way in the Madhya Pradesh, Chhattishgarh, Gujarat, Jharkhand and other regions. As we know the Jharkhand government has brought the anti-conversion law which is a deliberate attempt to actually divide the adivasis on religious line. Such things are bound to happen. It is therefore time to develop much more powerful political leadership among the Adivasis who can raise the issue and compel the governments to accept their demands. A movement has to highlight the issues of the people which in all fairness Narmada has done but it now should take it further in the greater interest of the community. Narmada’s issue is not merely ecological disaster that it is bound to bring but also annihilation of the adivasi culture. The government of India is duty bound to protect the adivasi land and culture. Today when the world celebrate Indigenous People’s day on August 9 and let us remind the government to protect and promote the adivasis natural habitats, their land and culture but is it possible from those who take pride in their Aryans values and feel everyone living in India is indigenous’ person. It is time for the international community to ask the government of India to acknowledge Adivasis as indigenous persons as only then they would be duty bound to protect them under the international laws for the protection of the indigenous people. India simply have no such laws because it has depoliticised the adivasi leadership and promoting superstition in the name of culture among them. The state has failed to protect adivasi zones and whatever little laws are there from the past are being amended to hand them over to greedy corporations. On the World Indigenous People’s day we realise how in the name of ‘development’ the adivasi lives are being threatened, their lands are being taken over forcibly and their areas are being converted into militarised zones to protect those looters who are coming there to mint money destroying the naturally rich environment. The aim of raising the issue of indigenous people meant to protect the Adivasi zones from not merely encroachments of outsiders but also from the mindless destruction in the name of development which has virtually made them landless and homeless in their own land. India and its neighbors have deliberately not treated the adivasi people as indigenous persons for political purposes. The RSS in India have called them ‘vanvasis’ or forest dweller a clever term to defunct the Aryan invasion theory. India must embrace the UN Declaration on Rights of Indigenous People adopted on September 13th, 2007 at the UN General Assembly which is the comprehensive document to protect the rights of the indigenous people and India is duty bound to protect the rights and culture of Adivasis. Article 10 of the ‘declaration’ says that ‘Indigenous peoples shall not be forcibly removed from their lands or territories. No relocation shall take place without the free, prior and informed consent of the indigenous peoples concerned and after agreement on just and fair compensation and, where possible, with the option of return’. In the past 70 years more than 9 million adivasis became victims of ‘development’ and the governments have rarely shown any concern about that. If India amend its constitution and technically categorise the Adivasis as Indigenous people, it will be accountable to UN General Assembly on the Indigenous People’s right. Like Canada, Australia, New Zealand and many other democracies, India need to apologise to its indigenous people for the historic wrongs and neglect to its first people. It has done gravest damages to adivasis culture and land and a constitutional amendment giving them the status of indigenous people will enhance the adivasi rights and provide them much more strength and power to protect their culture and land from the onslaught of greedy corporates who in active connivance of the power elite are responsible for large scale displacement and cultural annihilation of adivasis. It is time to take this issue seriously. The Adivasis have protected our environment and the nation need to protect them and the best way would be to allow them develop their own land through their traditional democratic methods which are defined and protected under the international laws. 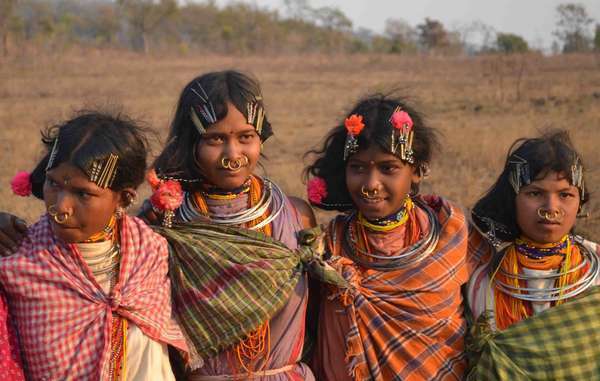 The meaning of adivasi implies that they are the original inhabitants of India. However, BJP and its associates term them vanvasi and not adivasi since they claim that only Aryans were the original inhabitants, which is not true.